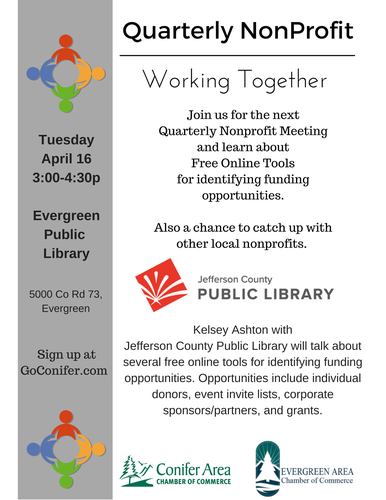 Join us for our local quarterly nonprofit meeting. These are join meetings hosted by Conifer Area Chamber of Commerce and Evergreen Area Chamber of Commerce. Working together to help the local nonprofits.